Towards the end of September, I thought that I would pop into Lush to pick up a few bits before the Halloween and Christmas products start to make an appearance. Initially, I only popped in to pick up two of my top repurchased products, Sleepy and Helping Hands, but in true Lush style, my eyes began to wonder towards the bath bomb section and I couldn't help but pick up to of the more recent additions to Lush, Rocket Science and Cheer Up Buttercup. First up, we have one of the more recent additions to the bath bomb section in Lush, the Rocket Science Bath Bomb. How could you not notice this in store? It's such a beautiful vibrant blue colour, with glitter stars on the yellow part of the rocket. 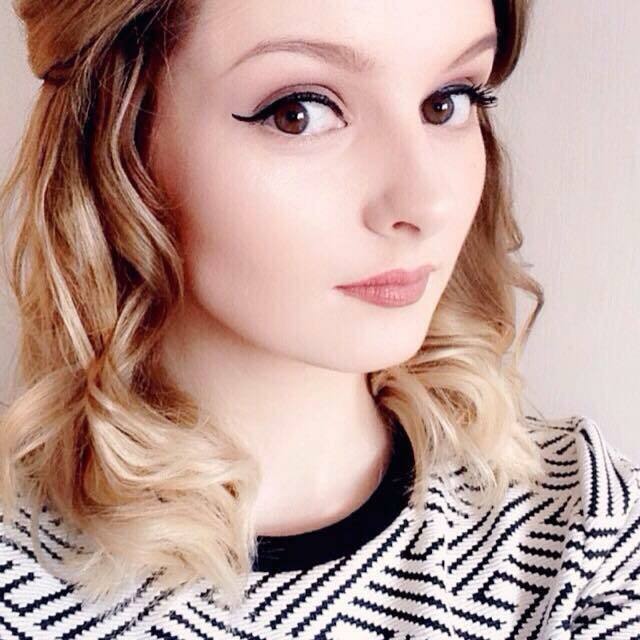 It has that typical Lush scent as well, blending a mix of uplifting bergamot oil and Sicilian lemon oil. When dropped in the bath, there's a kaleidoscope of colours, from blues, greens, yellows, pinks and purples, until it finally settles into a beautiful glittery royal blue bath. Plus, for such a large bath bomb, it's only £2.95. Next, we have one of my repurchased products, Sleepy Body Lotion. I'm pretty sure everyone has heard of this product by now, as it gained a lot of popularity around the beginning of August. So much so, that it's hard to get a hold of at times. I always go for the bigger 215g pot, as I try to use this every night or every other night as it really does work wonders on the nights that I do use it. As someone who has trouble staying asleep, whenever I use this I seem to stay asleep for a lot longer and wake up less frequently throughout the night. Plus, it is so soothing on the skin, so it's an ideal product if you suffer from eczema. Formulated with calming lavender, moisturising cocoa butter and soothing oatmeal, it smells incredibly floral and is guaranteed to make you feel more cosy before you go to sleep. Although the Cheer Up Buttercup Bath Bomb doesn't look as exciting as Rocket Science, it makes up for it when it comes to the scent. It is one of the best bath bombs I have ever sniffed. I adore citrus scents and this little yellow bath bomb certainly delivers. Formulated with lemon oil and lime oil, it's one of the strongest smelling bath bombs I've ever owned. When dropped in the bath, there's shades of yellow, orange and pink, finally dissolving into a yellow bath with the purply blue mallow flower pieces floating to the surface. 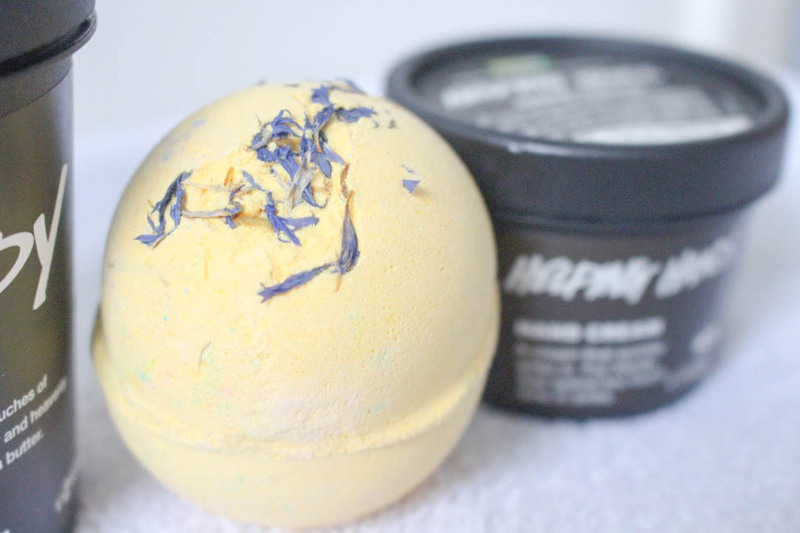 It really is like bathing in liquid sunshine, I can imagine this being the perfect bath bomb to use if you had the cold or for the greyest of days, this will certainly leave you feeling a little better. 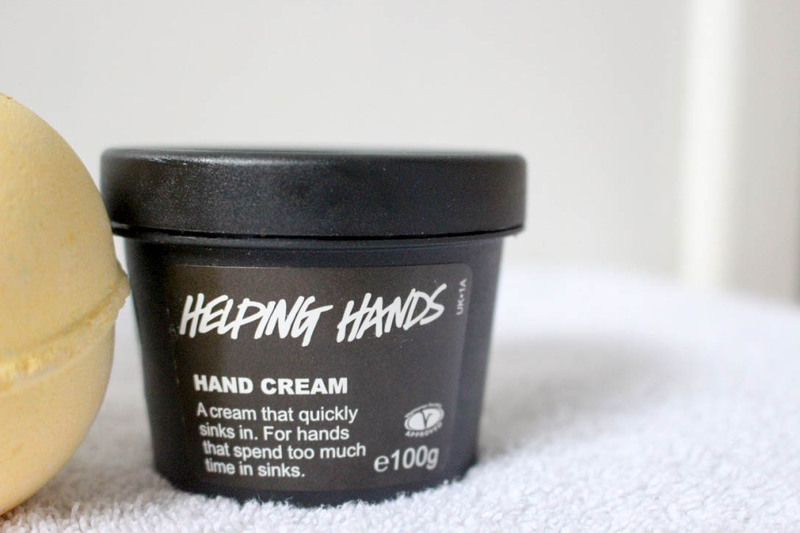 Another repurchased product is the Helping Hands Hand Cream. Getting right to the point, this is the best hand cream I have ever used. I've tried many lotions and potions over the years for my dry, red, eczema prone hands and nothing works quite like this. It's intensely hydrating, as it was originally designed with nurses in mind. It's formulated with nourishing cocoa butter, soothing honey, calming camomile water and restorative almond oil, so it's silky smooth formula glides onto the skin and feels heavenly when my skin feels a bit dry, tight or sore. 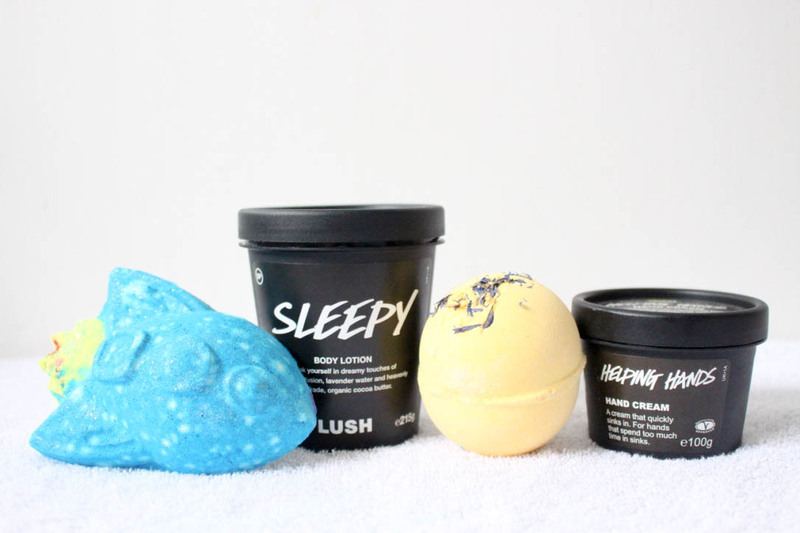 This little Lush haul will definitely keep my stash going until I pop in next time for my annual Lush Halloween Haul - I'm already eyeing up the Sparkly Pumpkin Bubble Bar and the Monsters' Ball Bath Bomb. Have you picked anything up from Lush recently? Let me know in the comments! I am dying to try the sparkly pumpkin bubble bar! I'm obsessed with Sleepy at the moment - the scent is so beautiful and relaxing! It really is an amazing body lotion Jasmine! 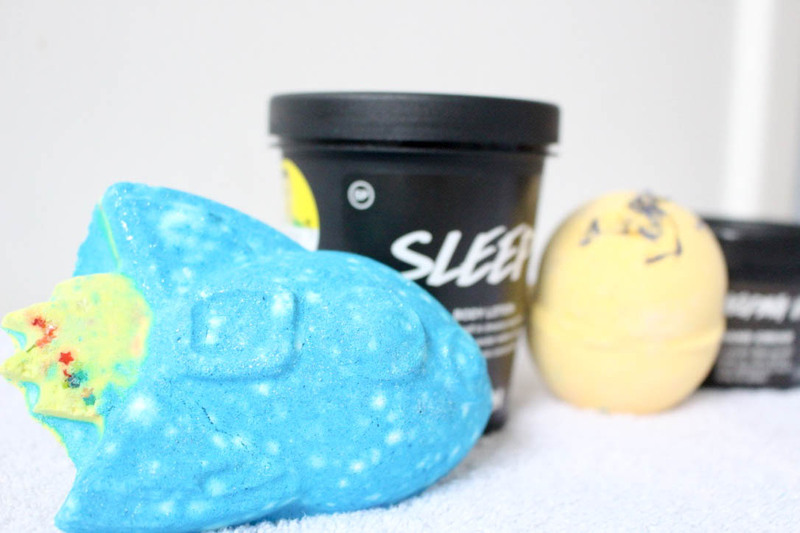 Sleepy is on the top of my wish list at the moment, I hear so many good things about it and I really struggle to sleep so it sounds perfect for me! It is incredible Sally, I highly recommend it! It really is worth the hype Hannah! It's such a pretty bath bomb too! Ooh, the buttercup bath bomb sounds really nice! Thank you Elizabeth! Sleepy really is as incredible as everyone says it is! cheer up buttercup is so lovely and it smells amazing. It's one of my favourite Lush smells! 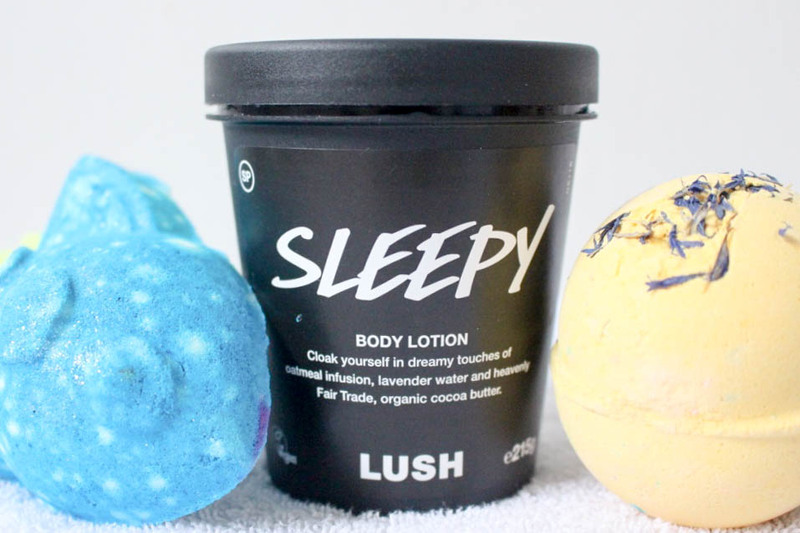 I'm still yet to try anything from Lush (yes, I'm the worst), but that Sleepy lotion sounds amazing! It's definitely one of my favourites from Lush!